When Scott Richmond was 20 years old and working on the docks of North Vancouver scraping scum, barnacles and rust off of boats and barges, the lights of major league baseball must have seemed a long way away. Yet the North Vancouver native and talented right-hander never gave up. After playing for the Vancouver Pharoahs senior men’s team, Richmond came to Douglas College where he studied and played for the Royals from 2000-2001. From there his path wound through an amateur team in Moose Jaw, then Missouri Valley College, then Bossier Parish College in Shreveport, La., then finally to Oklahoma State in the NCAA's first division, where he was an honorable mention All-Star in the Big 12 conference for the Cowboys in 2005, his final season, but went undrafted after college, since he was already age 25. He then joined the independent Northern League, where he played three seasons for the Edmonton Cracker-Cats. At the age of 28, Richmond’s big break finally came. 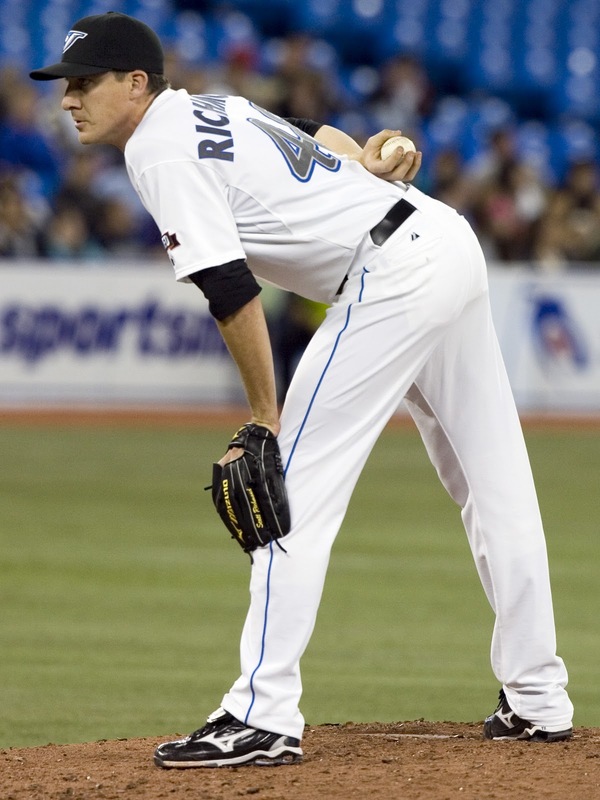 After impressing scouts at an open try out, he was signed by the Toronto Blue Jays and made his major league debut in 2008. After a 2009 campaign that saw him go 8-11 with a 5.52 ERA, Scott is now working to come back from a shoulder injury that caused him to miss the start of the 2010 season. But the physio room at Rogers Centre is still a long way from the North Vancouver docks.